Welcome to the Luiza catering family! 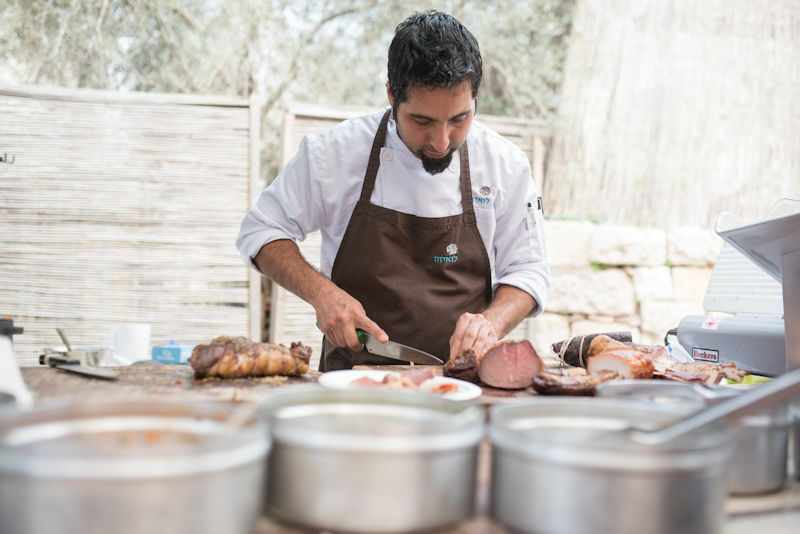 For 18 years, we are creating unique Israeli culinary at the Luiza catering, in a kitchen located at the rural part of the judean mountains, in a garden full of local herbs and ancient olive trees. the love for humans, the passion for gastronomy and the joy of hosting – all dictate our main values, alongside the SlowFood perception, based on protecting the environment, moral consumerism, and local, fresh, organic produce. we stick with creativity and innovation,combined with traditional cooking techniques and keeping the familiar and beloved flavors of the Israeli kitchen. we specialize in unusual culinary solutions, and create events which interlace content, ambiance, design and service, personally customized for the client and the location. in addition, we create food markets, special chef meals, tasting menus and costume made concept menus. Nadav started his culinary way at the age of 11 with great curiosity for the kitchen. that passion lead him to become a professional chef, and he completed his bachelors degree at the university of gastronomy science (founded by the SlowFood movement), in Peimonte, Italy. Chef Malin’s kitchen works by the value guiding him through the years – mind full and aware kitchen: cooking and creating the flavors through vast knowledge and familiarity of the produce, and the use of fresh, locally grown produce. after his studies in Italy, Nadav completed his M.A in the culinary SlowFood center in San Sebastian, Spain where he learned all the latest trends and techniques of the modern kitchen. he worked and interned in a few top rated, world known restaurants such as “Mugaritz” – rated with 2 michelin stars, “Mirador de ulia” – rated with 1 michelin star, and more. 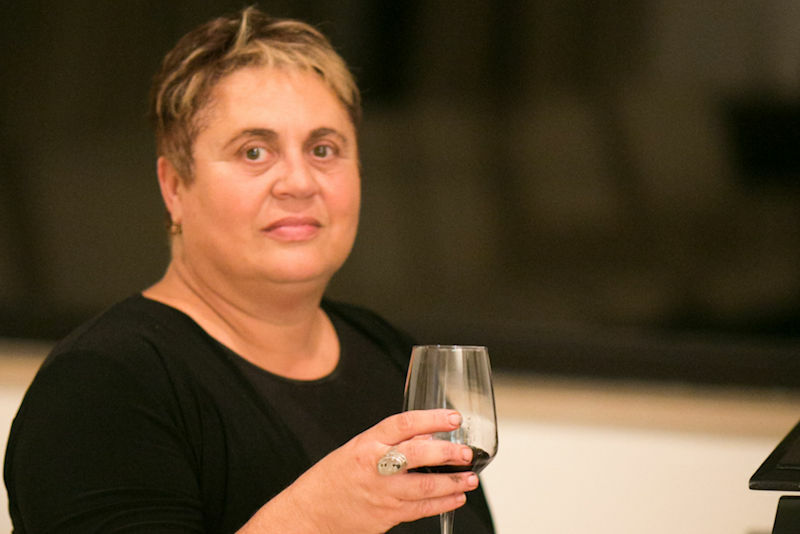 Anat entered the culinary world after a long career in the Bank of Israel. combined with studies in the “Shenkar” fashion design school, she started a home business for cakes, desserts and various pastries. the business grew gradually, and in 2000 Anat founded Luiza Catering – Contemporary Israeli Kitchen. The catering became famous thank to its unique food style, which bases on local food creators. According to Anat’s culinary perception, Israel is an immigrant country, with great multi cultural culinary traditions, which serve the chefs and the catering’s clients well. Anat’s greatest passion is creating new and interesting dishes, and always looking for new materials and innovative combinations. Anat’s biggest culinary aspiration is to start a top class cooking school, opened for every religion, race and gender, to create dialogue and collaboration through the kitchen. Amit joined the catering in 2003, and started managing the kitchen. Amit is an expert in managing field kitchens and logistics, and today he is in charge of the operative part of the catering events. Amit is the one solving all the unexpected problems, listens and does his best to keep everyone happy. 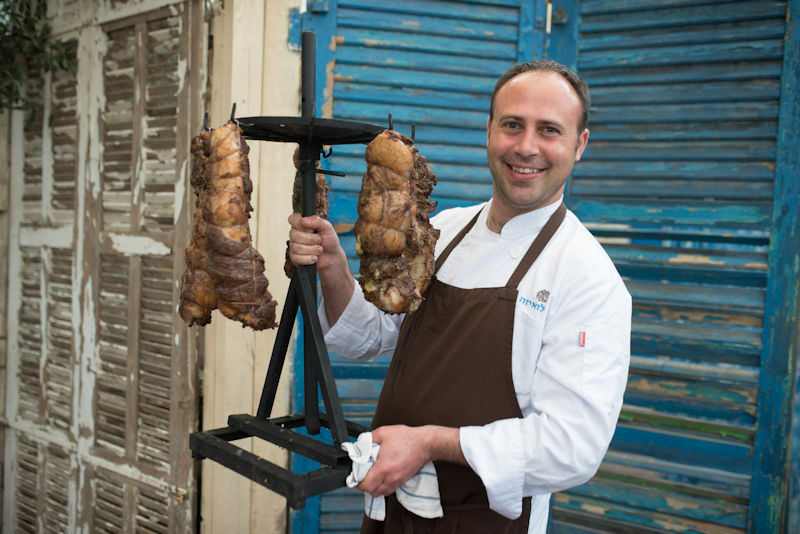 Amit grew up in a settlement in the Judea mountains, and started his culinary course at the age of 13, in his family’s run restaurant, which specialized in local rural food; smoked meats, slow cooked casseroles, jams, liqueurs and homemade bread. JJ (Jalil Jalil) the sous chef, came from NYC, where he worked in various different kitchens. 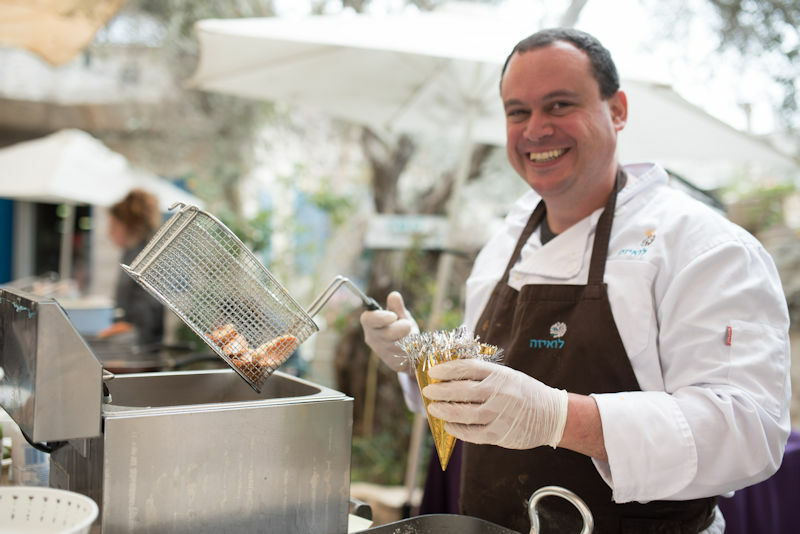 after years of managing and working in top class kitchens in NYC and TLV (such as “Katit” and “Herbert Samuel”), JJ chose to become Nadav’s sous chef, and to manage the kitchen in all the catering event. 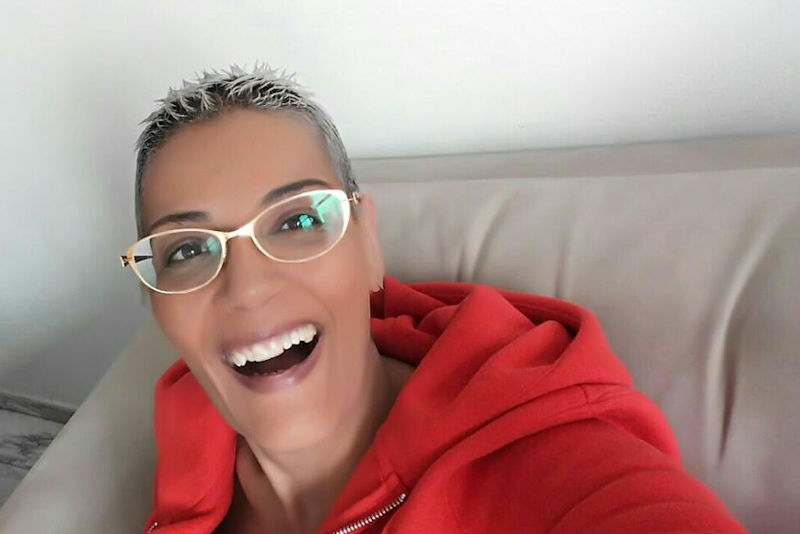 Mili started working in the Luiza Catering 6 years ago, as a pastry chef, after she finished her confectionery studied, and after a long career as medical secretary. after two years, she decided to “change it up” and started running the catering office, and produce the catering events.